As you probably already know, I’m a total animal lover. 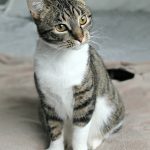 We have two pups and three cats under our roof – and to be honest, I’d probably add one more. 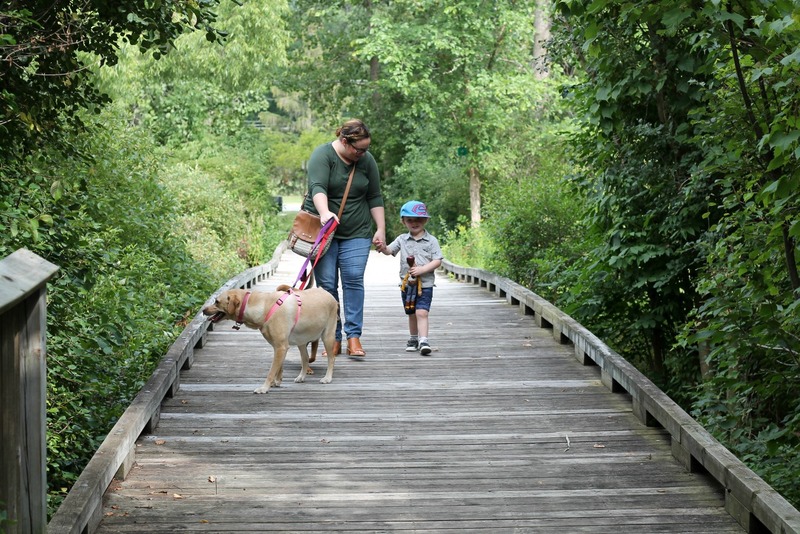 I’ve always loved connecting with animals, and now that I get to see my kids make those same connections it really makes my heart full. Both of my kiddos have loved growing up with pets so far. And I think they’re learning a lot from them as far as life skills go. 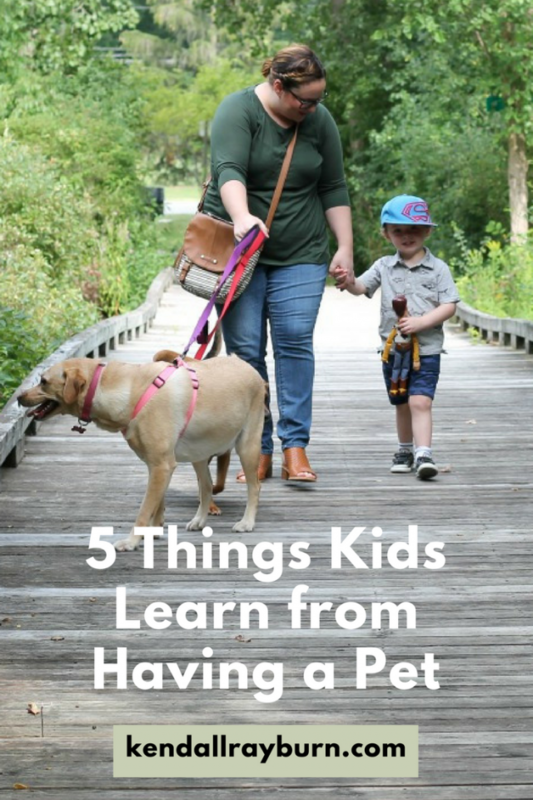 I wanted to highlight 5 Things Kids Learn from Having a Pet on today’s post because I truly believe that pet companions can be wonderful for kids. I’ve seen it with my own two eyes, and have personally experienced it, too. 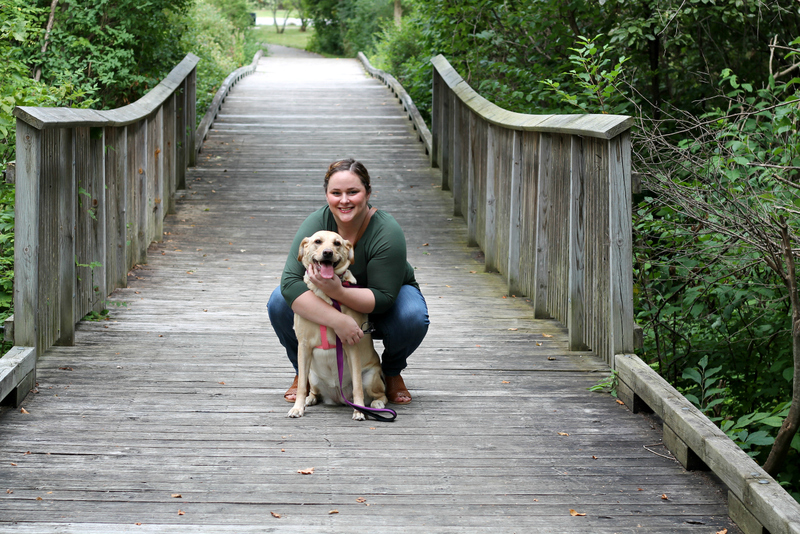 Our kids help to take care of our dogs just like my husband and I, because they’re a part of our family. Each morning the boys make sure the dogs have fresh food and water, and they take such pride in helping out with this task. 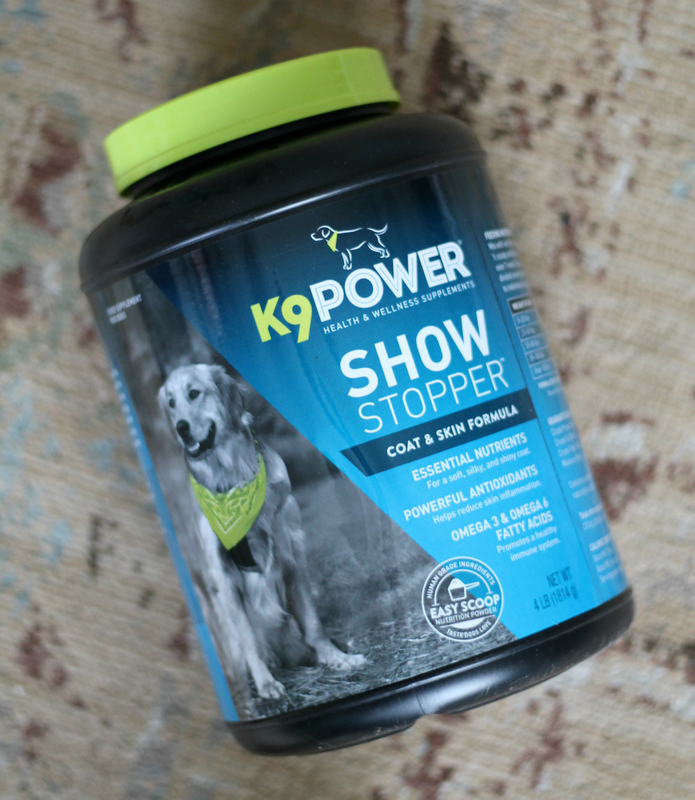 They also help to give the dogs their K9 Power – Show Stopper Dog Coat and Skin Formula which is something we’ve been loving lately. 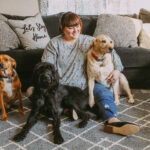 It helps provide your pup with essential nutrients that helps with excessive shedding (can be an indicator your pet isn’t getting the nutrients they need), and helps to keep their skin healthy to prevent dry coats and itchy skin. It contains safe ingredients like: Coconut Oil, Olive Oil, Whole Egg, Omega 3, Vitamins C & E which all aid in keeping your pup healthy and happy. The flavor is one that they love too, because it contains chicken, carrots, kelp, blueberries, and broccoli sprouts. Our lab Emma used to get dry skin spots and patches, and this really helps to keep her more comfortable and happy which makes us happy in return. The Show Stopper Dog Coat and Skin Formula is super affordable and you can order it right on Amazon. Can’t be easier than that, right? 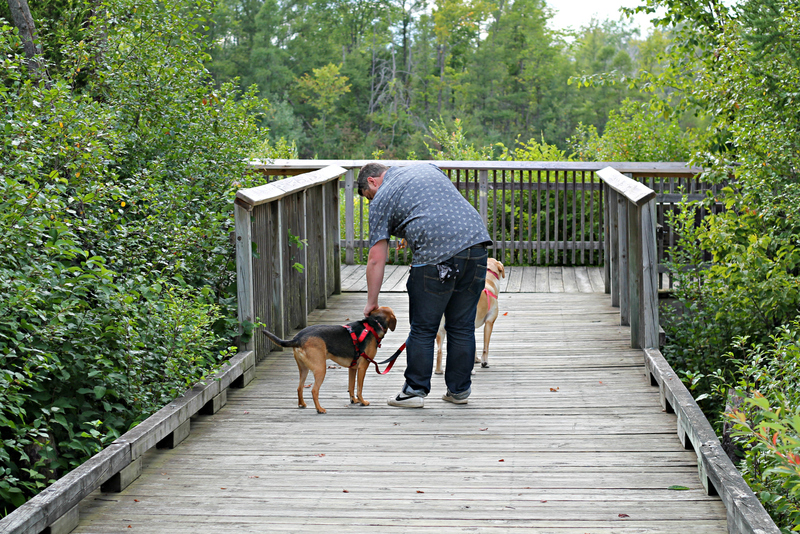 I love to see how much the boys love our dogs. They’re constant companions for them through thick and thin. And taking care of someone means being there to support them and care for them, always. 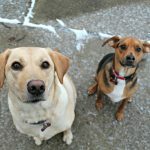 The boys can pick up on the slightest signals from our dogs now – when they need to go outside, when they want to play, when they’re hungry, tired, sick, you name it. Patience is a skill that our animals have definitely helped our boys to develop. They practice it daily and really have learned to wait on Emma and Ted (our dogs). When they’re playing together, it’s like they’re playing on shared time – nothing is rushed, nothing is slowed down, it’s just this perfect rhythm. They play a lot of fetch both inside and outside of the house, so they’ve learned to be patient and wait for the dogs to drop their toy, or wait while they retrieve it, etc. These little lessons may sound silly, but they’re going to be very beneficial as they get older. 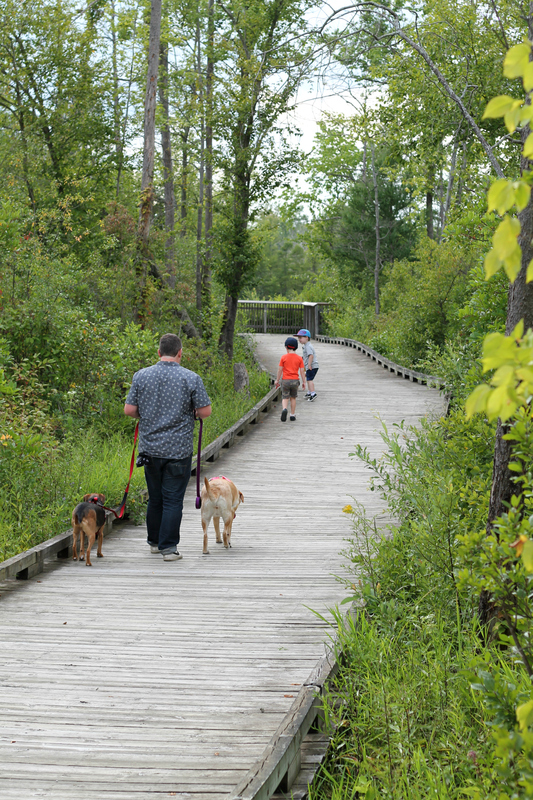 Dogs help to keep you active, it’s just the truth! 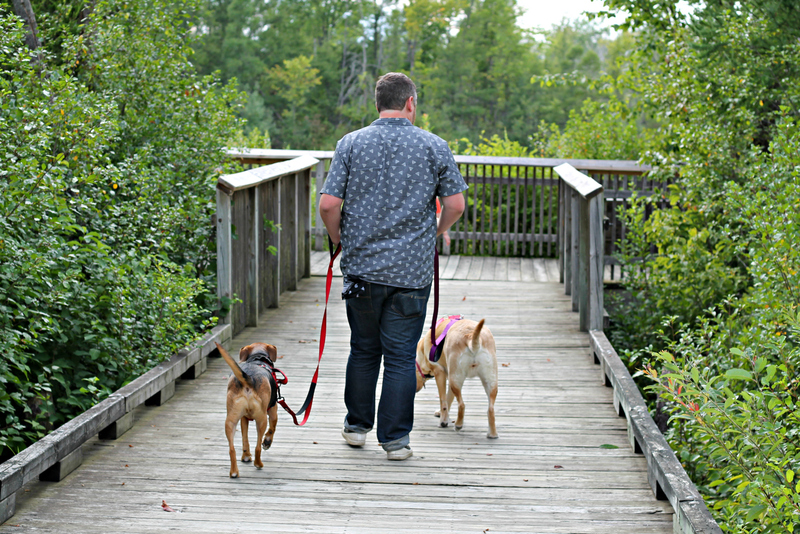 Going for walks, running around outside, tug of war, it’s all things we do with our dogs each day, and something the boys look forward to as well. 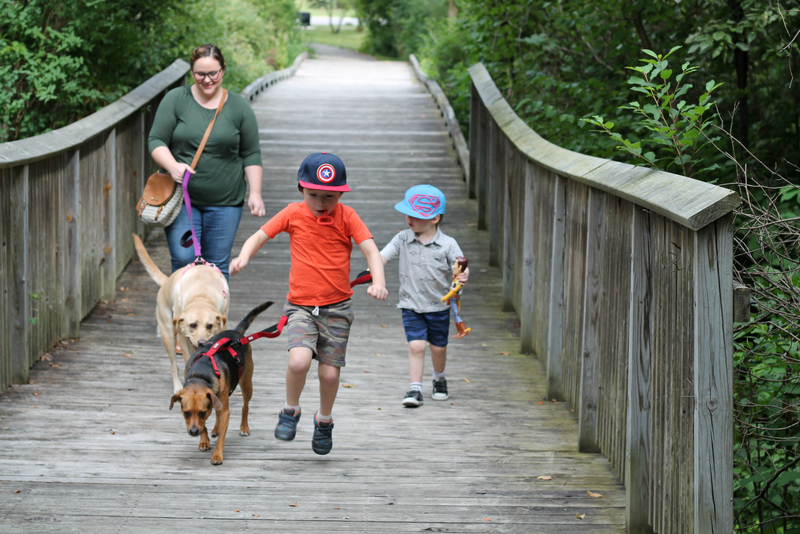 My son Wyatt has Autism, and when we got our first dog (Emma) we initially got her to help bring Wyatt out of his shell a bit, since we noticed he loved and really had a connection with animals. Watching him blossom and grow with her help was something I’ll never forget. 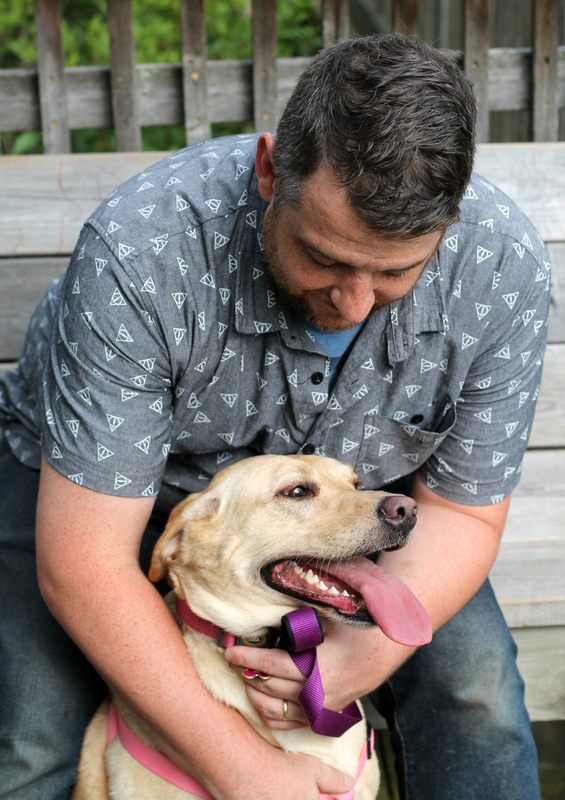 As a puppy, she got in his face and made him pay attention to her – and from then on they started to develop a relationship that is just so sweet and special. Then, when Levi was born, Emma took him under her wing, too. She was so protective over Levi when he was first born, and now watches out for both boys. I’m tellin’ ya folks, dogs are just amazing for helping with social skills! 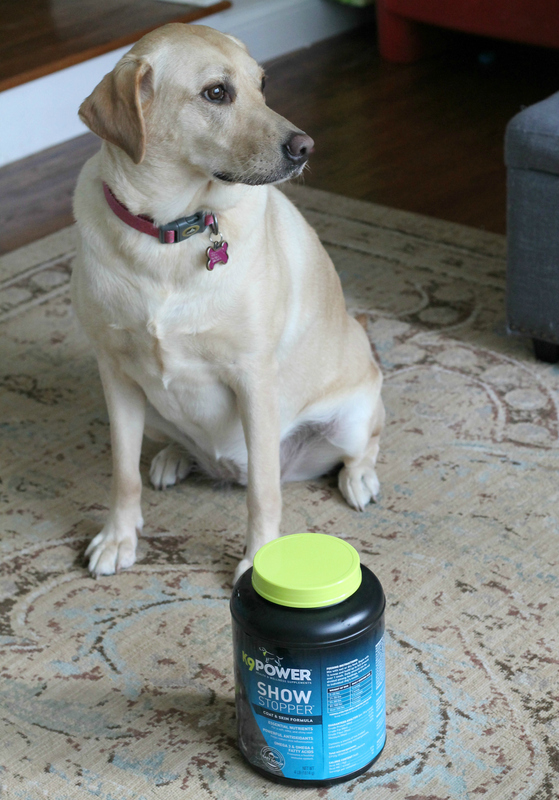 Be sure to check out all of the awesome K9-Power products on Amazon (they’ve got a ton of varieties to customize for your dog’s needs). 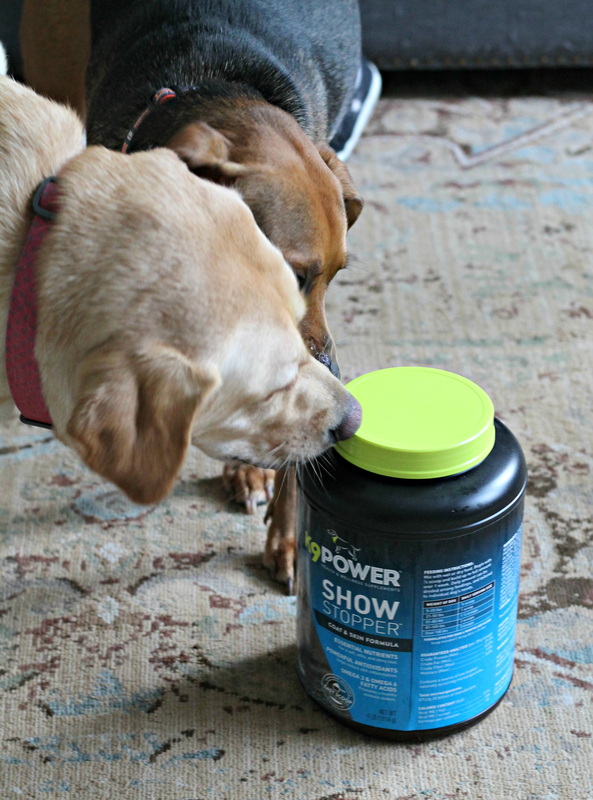 Choose between: Show Stopper (what we use), Joint Strong, Super Fuel, and Puppy Gold. Use Amazon coupon code: KENDAL10 for 10% off these K9 Power products through 8/31: Show Stopper, Joint Strong, Super Fuel, & Puppy Gold. So tell me, do you have dogs? I’d love to hear about how they came into your family, and anything you notice that your kids are picking up and learning from them! 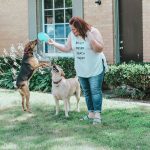 IAMS ORAL CARE COMPLETE™ + Our Fur Family!